England coach Gareth Southgate was keeping his feet firmly on the ground after England's 6-1 World Cup group-stage rout of Panama, declaring "I didn't particularly like the performance". With a grin Southgate explained to the BBC: "I'm being hyper-critical, but I didn't like the start, I didn't like the goal at the end. The bits in the middle were pretty good though!" 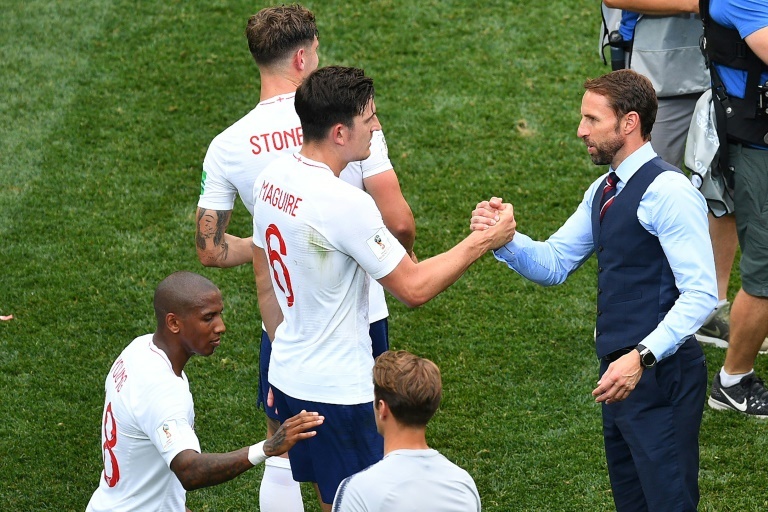 Southgate was speaking after a hat-trick from Harry Kane, a double from John Stones and another from Jesse Lingard saw off Panama and qualified England into the knockout stages. As it stands England are level on goal difference with also-qualified Belgium but top the group by virtue of yellow cards -- two compared to the Belgians' three. The countries meet in Kaliningrad on Thursday. Asked about possible changes to his XI to face Belgium, Southgate commented: "I want to keep the momentum, we have to think about the team we want to put out, it's an opportunity for players who need a match who haven't played for a while but on the other hand we want to keep winning. "It's a nice decision to have!" Reflecting on a record World Cup win for England -- their previous best result was 3-0 -- he added: "I was a bit anxious at the start, they (Panama) had six at the back and three in middle, but once we worked that out I thought we played some really good stuff for 35 minutes. Southgate's main gripe was his defence allowing Felipe Baloy to score Panama's first ever World Cup goal in the 78th minute. "At half-time we talked about one more goal to be top of the group, that's why the goal at the end was disappointing," he said. "We'd rather be in control of the group than not, and confidence wise it's important to score goals. "It was a big moment for Lingard and great for the captain (Kane) to score a hat-trick, that way he didn't have the hump when I took him off!"